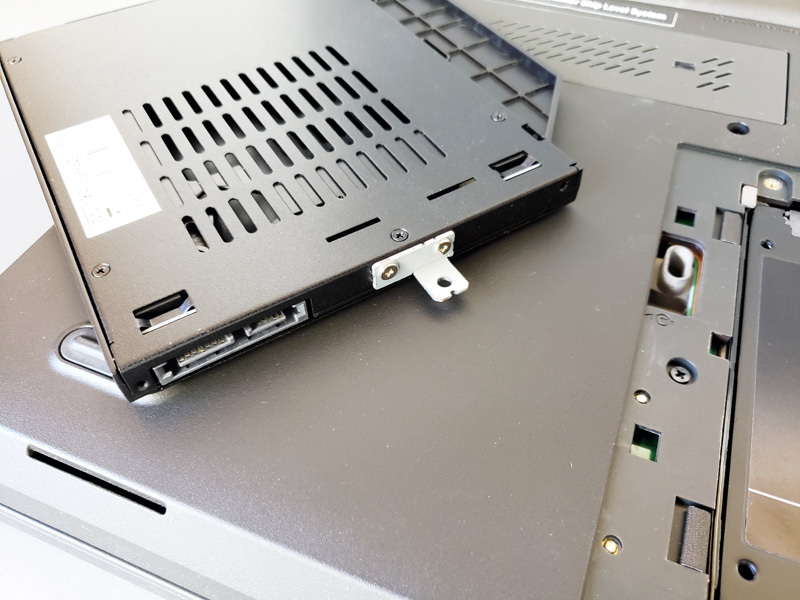 In our ICY DOCK flexiDOCK review, we are going to see a solution for notebook and server users who find they seldom use the built-in ODD (Optical Disk Drive) but need extra temporary storage. For these users the new ICY DOCK flexiDOCK to be a useful upgrade. The flexiDOCK installs into the existing Slim and Ultra Slim CD/ DVD/ Blu-Ray bay and gives fast access to removable storage be it a 2.5” SSD or HDD. 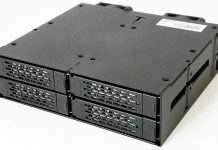 Workstations or servers that also have a Slim ODD Bay can also fit the flexiDOCK. You can see an example of a new tower server with a slim optical drive in our Dell EMC PowerEdge T340 Review. The above graphic shows typical installations of the flexiDOCK which gives the convenience of a docking station. The flexiDOCK we will use in our review is the MB511SPO-1B which is for 9.5mm ODD Bays. ICY DOCK flexiDOCK comes in two sizes; the MB511SPO-B fits into Slim ODD bays that are 12.7mm (Bottom), the MB511SPO-1B fits into Ultra Slim ODD 9.7mm bays (Top). 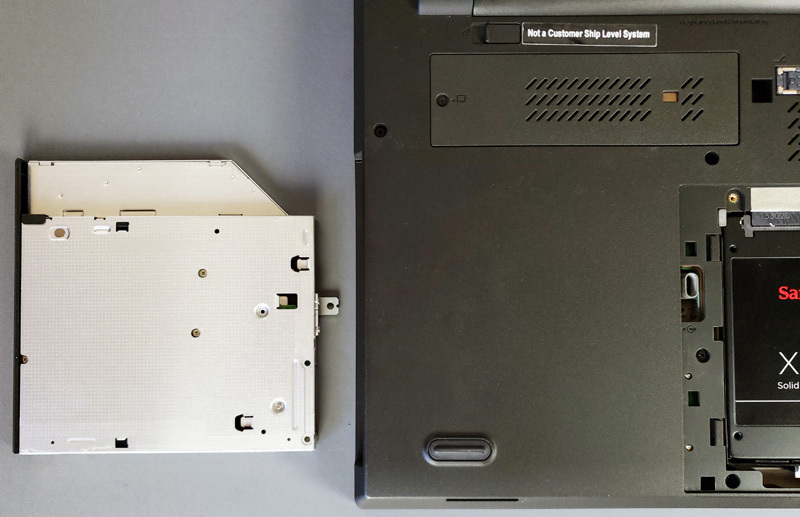 In the lab, we use a Lenovo W540 and found we have never really used the built-in Ultra Slim ODD bay, but could use extra storage. 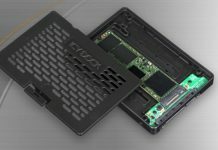 You can see in the picture; the W540 has only one SSD bay which we use for our OS drive. Just off to the left of the SSD, we find an ODD retaining screw which we need to remove. After removing the ODD retaining screw, the Ultra Slim ODD slides right out the side. In our case, we need to remove the metal bracket from the ODD and install it on the flexiDOCK. With the metal bracket installed on the flexiDOCK, all we need to do is slide it back in the W540 and screw in the retaining screw. Installation went smoothly and was easy to do. 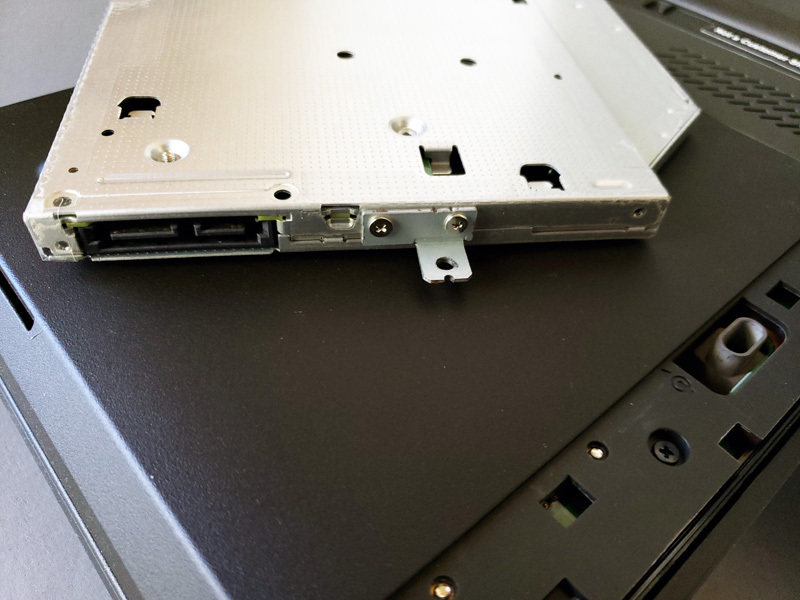 Inserting an SSD into the flexiDOCK an ejection button will extend and lock the drive in place. The ejection button can be key locked to provide extra security to prevent accidental or unwanted drive ejection. 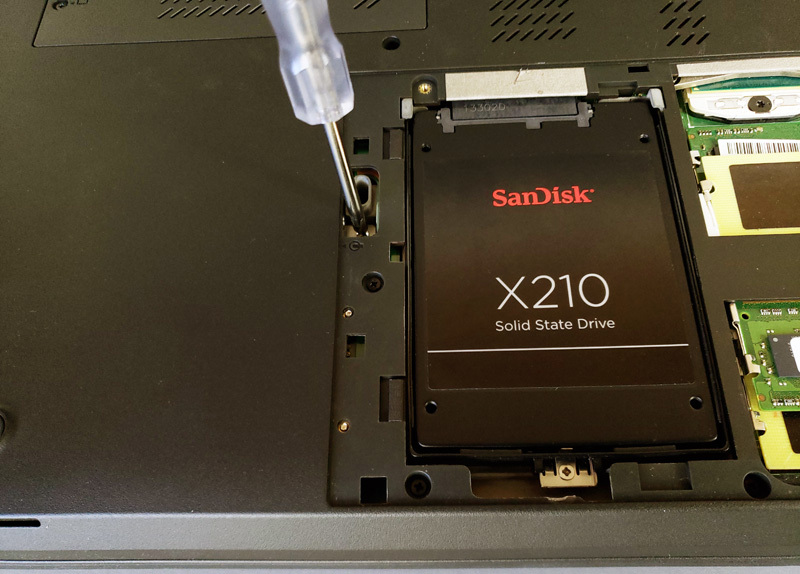 If you are installing the flexiDOCK into a workstation or tower server, you might find the need for a Slimline SATA to SATA Adapter with Power – Slim SATA (F) to SATA (M). This graphic also shows the blue activity LED just to the left of the ejection button. 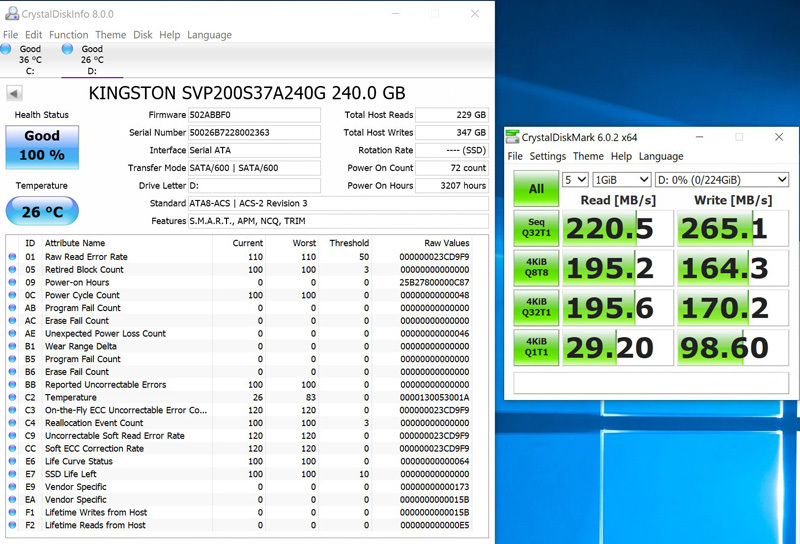 We located a Slimline SATA to SATA adapter on Amazon for under $10. Here you can see our drive running in the ICY DOCK flexiDOCK. 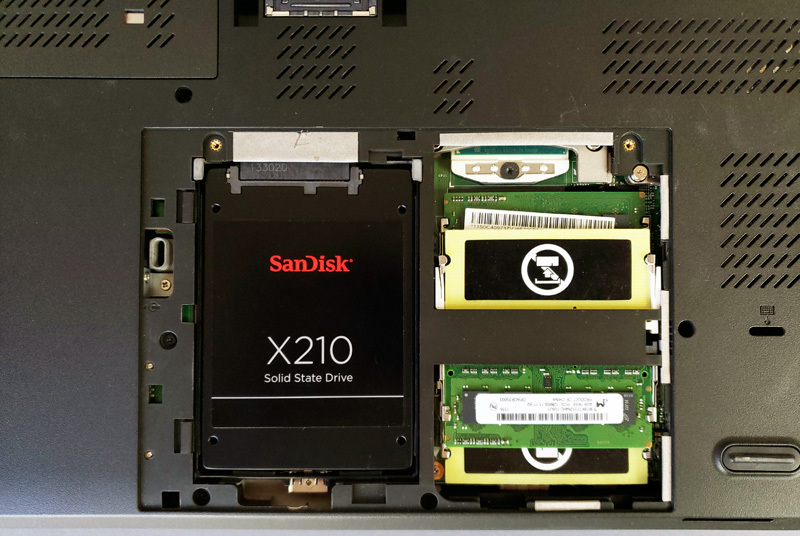 We found the flexiDOCK a good way to add extra storage to our Lenovo W540, which has limited internal storage bays. Installation only took a few minutes and gave the performance that we would expect from a SATA drive. 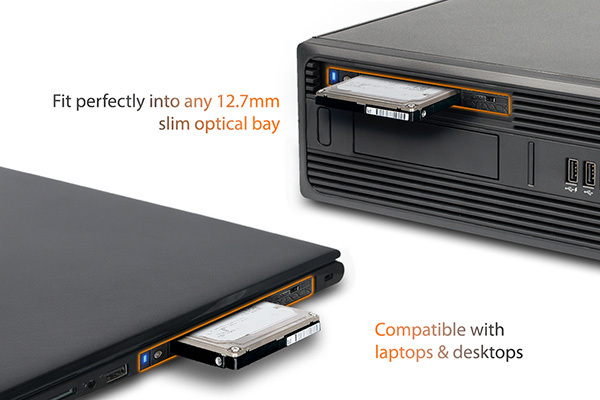 flexiDOCK supports drive heights up to 7mm, which covers SSDs and most modern HDDs. The key lock provides added security to prevent unwanted drive ejections. 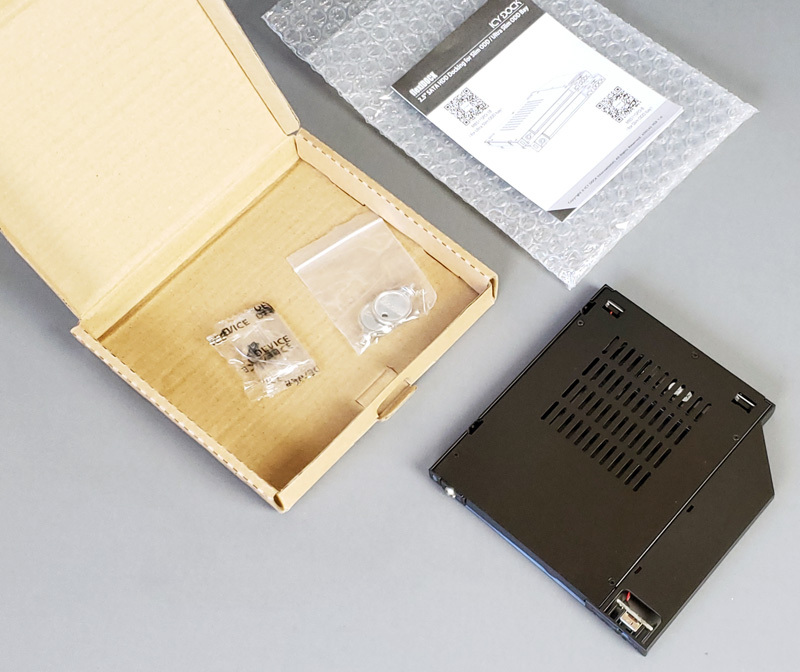 If you do not want the ability to easily eject, and instead prefer the security of a completely internal solution there are many less expensive kits on the market. 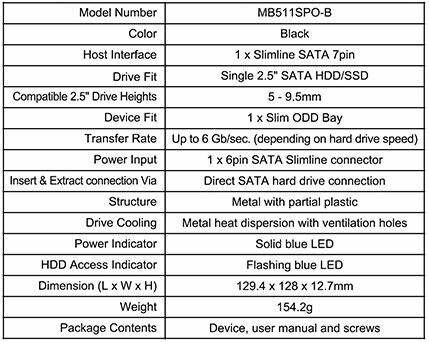 The MB511SPO-B fits into Slim ODD bays that are 12.7mm with a street price of around $36.99 while the MB511SPO-1B fits into Ultra Slim ODD 9.7mm bays for a street price of around $29.99. In a server with limited hot swap bay options but an unused optical drive, this is a SATA option that may work. The only “gotcha” with most of these solutions is that the 2.5 drive MUST only operate off of 5V power. A normal 2.5 power connector has all 3 voltages, but the slim line or whatever it’s called only gets 5V. I need the smaller one for my laptop , I don’t think I’ve ever even used the disk drive before.